“The Ballad of Sacco and Vanzetti” – Ennio Morricone / Joan Baez | Marbella Marbella – Adelante! I first saw this superb film “Sacco e Vanzetti” in 1971 when it first reached the cinema screens and was stunned by it’s cinematographic ingenuity and photography, dramatically combined with an original musical soundtrack, composed and conducted by Ennio Morricone, which used unusual sounds, as well the fine and revolutionary voice of Joan Baez (well-known for her anti-Vietnam protests) and the intelligent lyrics she wrote for the main song of the film. It is an Italian docudrama and was written and directed by Giuliano Montaldo. 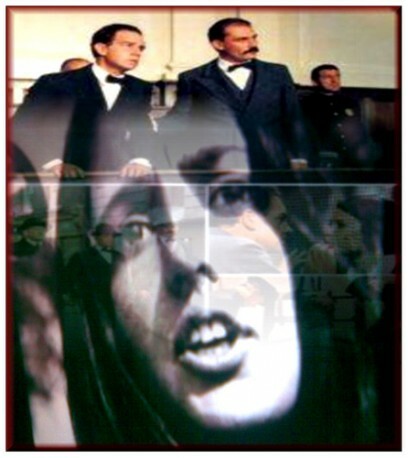 The film presents a dramatization of the events surrounding the trial of Sacco and Vanzetti and is based on a true and infamous story involving Ferdinando Nicola Sacco (April 22, 1891) and Bartolomeo Vanzetti (June 11, 1888) two Italian-born labourers and anarchists who were tried, convicted and executed by electrocution on August 23, 1927 in Massachusetts for the 1920 armed robbery and murder of a pay-clerk and a security guard in Braintree, Massachusetts. Dario Poli. Many observers believed that their conviction resulted from prejudice against them as Italian immigrants and because they held radical political beliefs. The case resulted in anti-US demonstrations in several European countries and at one of these in Paris, a bomb exploded killing twenty people. Today, the case continues to incite controversy based on questions regarding culpability, the question of the innocence or guilt of Sacco and Vanzetti. In 1977 Fifty years after their execution, Nicola and Bart were exonerated in a public proclamation by the Governor of Massachusetts Michael Dukakis He did so after an inquiry by a panel of legal experts convened by him determined that the two activists had not received a fair trial or anything resembling due process and that the evidence pointed to their innocence.